One of my favorite parts about any Stampin' Up! event is the make and takes. The first set of make and takes from Convention this year used the Kinda Eclectic stamp set. I'll be honest, when I first seen this set, I didn't care for it much, it didn't even make my wish list. OMG! I was wrong! The more I see samples with this set, the more I love it!! The first make and take with this set was a couple of cards. The first was pretty simple with some stamping and a few layers. The next card was a stepped up version of the first. A bit more stamping and some more layers and embellishments really makes the card extra special! 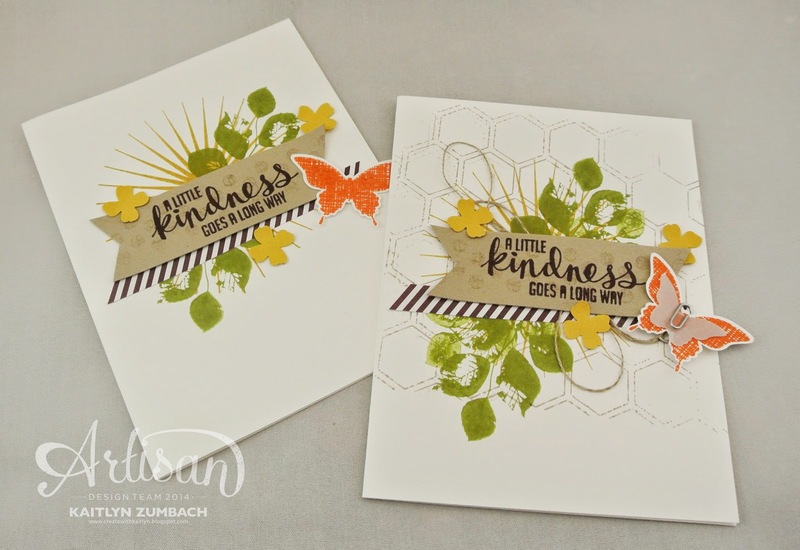 One trick that I really love is using the Honeycomb Embossing Folder as a stamp. Just ink it up and use like a stamp for a great background! 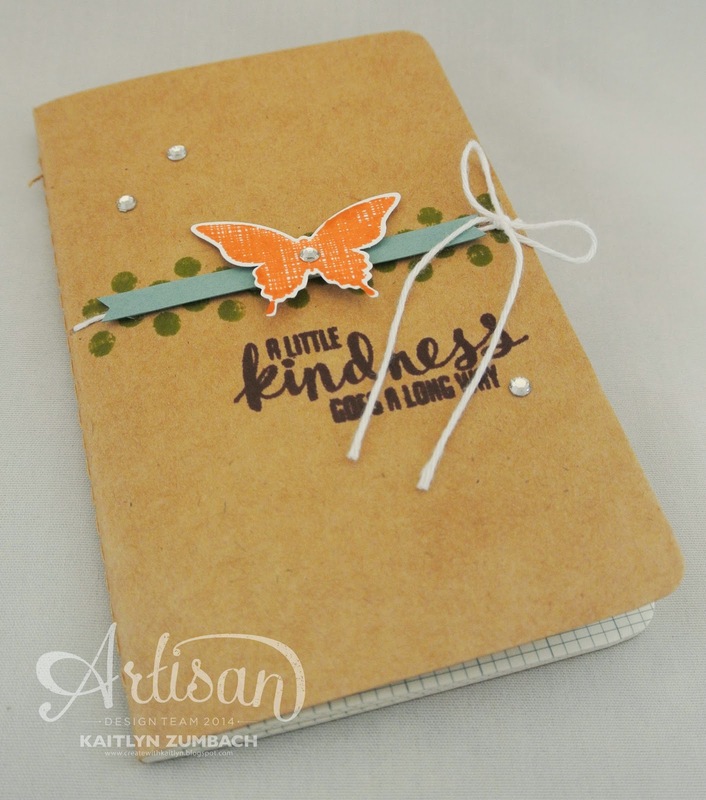 The next make and take with this stamp set was this adorable little journal. Did you know that these little journals are in the Annual Catalog??? They are the perfect size for carrying in your bag or to give as gifts! I just have one little trick to share with you. I didn't like the idea of tying the Baker's Twine all the way around the journal so that you have to untie it every time you want to open it. So, I just poked a little hole on the side with my Paper-Piercing Tool and the twine is just around the front cover. A simple fix!